My law practice was founded on the simple principle that everyone who engages with my law firm, deserves to have a hard-working and experienced attorney at his or her side during their legal dispute. There is absolutely no fee for my services unless you are paid for your injury or loss by the insurance company. MoreMy law practice was founded on the simple principle that everyone who engages with my law firm, deserves to have a hard-working and experienced attorney at his or her side during their legal dispute. There is absolutely no fee for my services unless you are paid for your injury or loss by the insurance company. 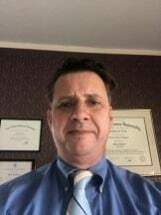 I help people and their families recover compensation for their injuries or disabilities following an accident such as a motor vehicle accident, injuries sustained on the job or for social security disability claims. Saturday and evening appointments are available and home and hospital visits. My goal and strong commitment to each and every client is to craft a successful legal strategy that will fully compensate you for your injuries and resulting financial loss. I will battle the insurance companies for you and make sure that your story is told more powerfully and convincingly. I am ready and willing to help.